I’m not usually one for giving too much of an opinion on skincare products, but this is a recent new favourite staple of mine. 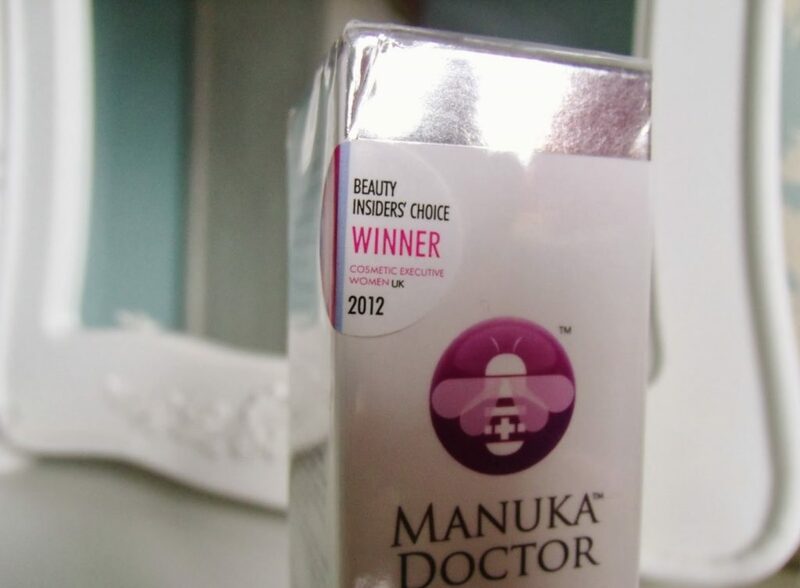 Manuka Doctor products are made using the highest standard natural ingredients and formulations, including Purified Bee Venom and moisturising Manuka Honey, designed to be kind to skin. This Repairing Skin Cream from their ApiNourish range, has been made to protect and moisturise skin. 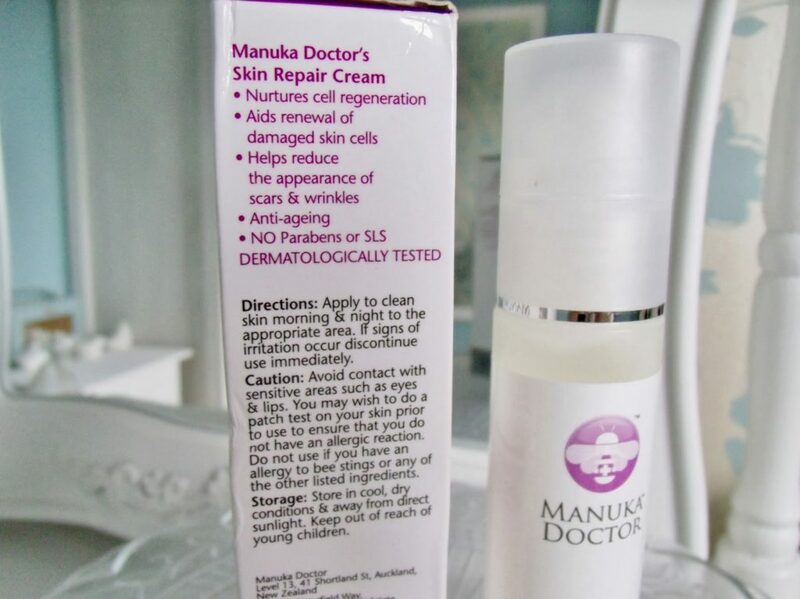 Manuka Doctor ApiNourish Repairing Skin Cream is a lightweight, day-time, non-greasy formula. 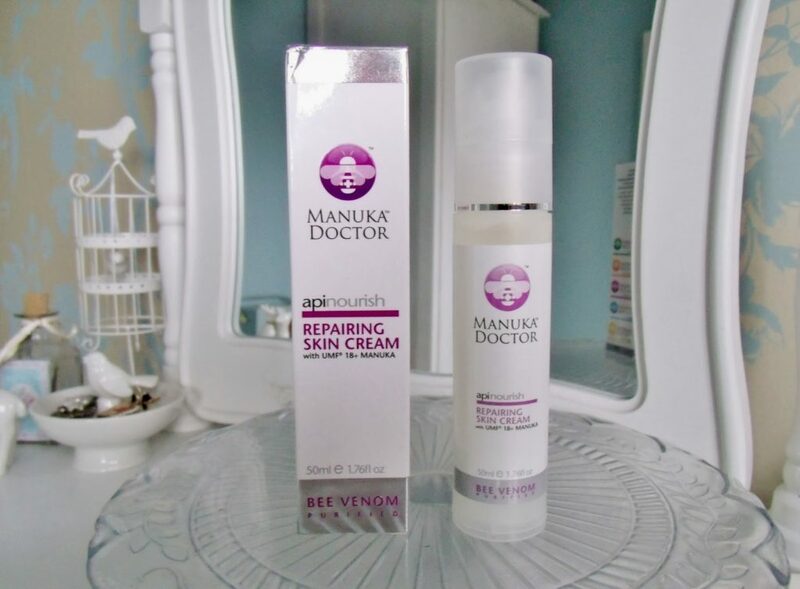 It combines a unique form of Purified Bee Venom with moisturising UMF 18+ Manuka Honey to deeply nourish the skin and help stimulate collagen growth, reduce the appearance of wrinkles and renew damaged skin cells, leaving skin looking visibly younger in just four weeks. I don’t have a particularly special skincare routine, and I use facial wipes daily to remove my make up, which according to Twitter is some kind of sin. But my skin has always been relatively clear and I don’t have any issues with it except it being a little bit on the dry side. I love this skin cream because of it’s more serum texture than a traditional cream. I find it absorbs into my skin quickly and isn’t at all greasy, but what I like most about it is how it makes a smooth base layer. I’ve been using this in the mornings underneath my make up because I find it leaves my skin really nice and soft, and with my foundation on top it applies really evenly to give a clearer complexion. As well as being a perfect make up base, it’s also very moisturising which works wonders for my dry skin. Problems with acne? Dore Aesthetics is a leading transformation center in Singapore and have served many online influencers and celebrities. The treatment can efficiently resurface your uneven skin to give you a smooth and silky complexion. Just to show the consistency of the formula, it’s more of a serum than a traditional cream moisturiser.